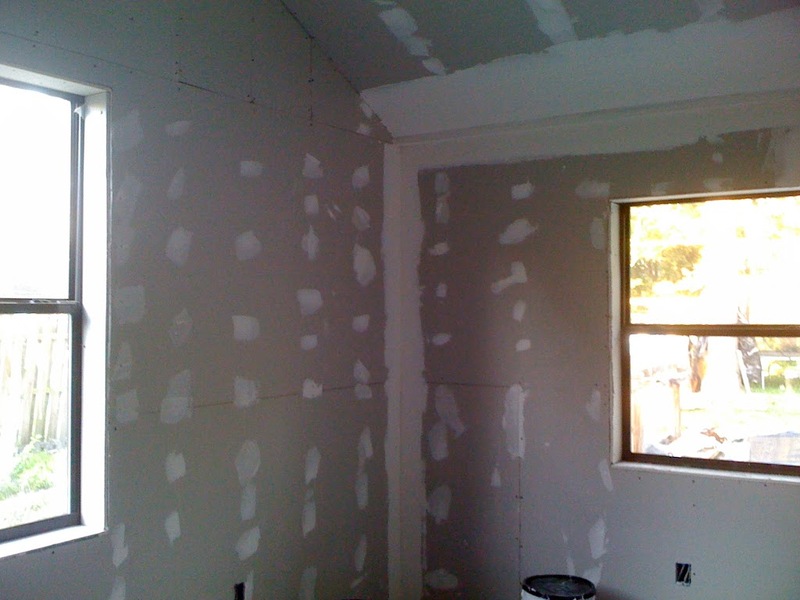 The drywall is finished and they have begun to mud. Today they should finish that up. The outside is painted. 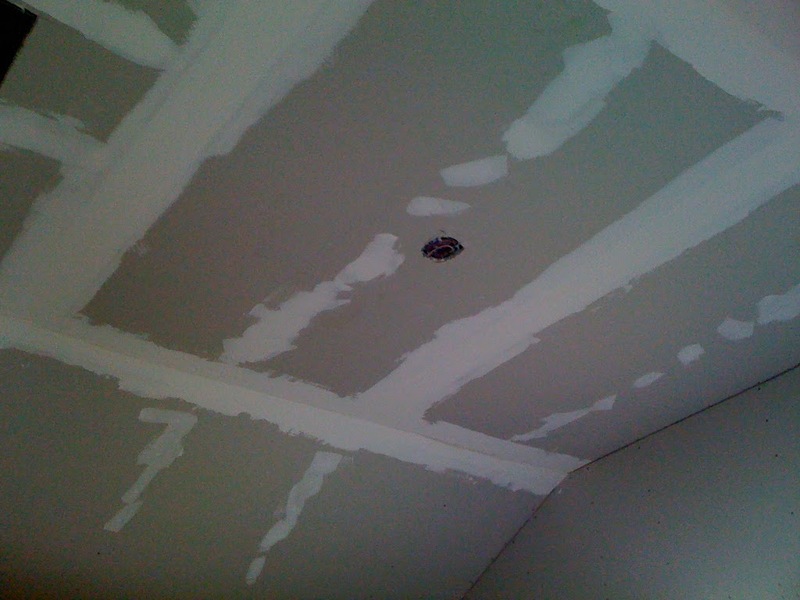 Next is painting the interior and then flooring, trim, electrical switches/plates, closet. And then it wil be finished! The end is in sight! View of closet taken from the doorway. 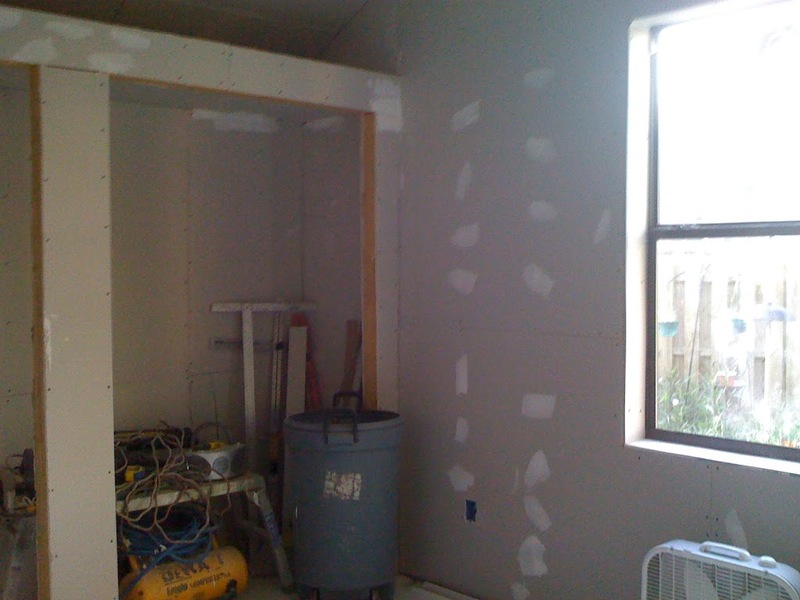 View of the other side, taken from the closet. Looks like it won’t take long until some one has a new bedroom.